"Unashamedly British as we are, we often turn to Italy for their irresistible fabrics. We used ultra-fine 120s Egyptian cotton yarn for its wonderful soft and silky feel, and then cut this marvellous shirt to a business casual style. We believe in casual luxury, and so should you." 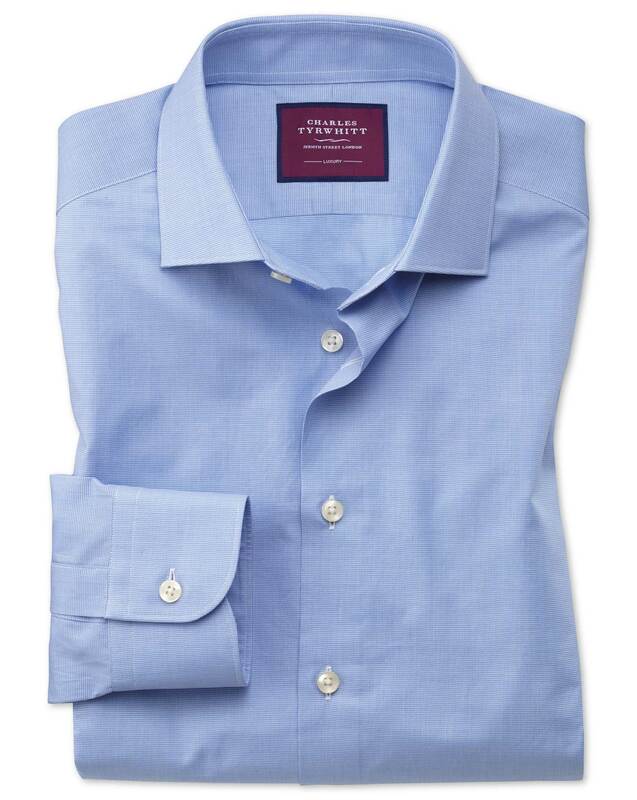 "Luxury shirt made from high-grade Italian-woven 120s Egyptian Giza cotton to a business casual style."